Presumptive GOP presidential nominee Mitt Romney will announce his choice for a vice presidential running mate sometime between now and the start of the Republican National Convention Aug. 27 in Tampa. Speculation among the chattering classes is rampant, with names like Florida Sen. Marco Rubio, former Minnesota Gov. Tim Pawlenty, former Bush Secretary of State Condoleezza Rice, Ohio Sen. Rob Portman and Louisiana Gov. Bobby Jindal among those frequently mentioned as possibilities. Romney�s VP selection is the Writing Assignment topic in the July 16-31 segment of The American Pundit contest. The full question can be found at the end of this report. A good vice presidential pick has to be able to �spin� his words and actions with the best of them, and in 2011, TPP wrote with begrudging admiration about one of the greatest political spins of this century and the man who pulled it off: Sen. John Kyl of Arizona. With his crafty �not intended to be a factual statement� remark in regards to his comments on Planned Parenthood, Kyl demonstrated the kind of word-twisting gymnastics that successful candidates for national office need in order to deceive and manipulate voters into supporting them. Kyl may be the only potential VP pick who can hold his own with incumbent VP Joe Biden, well-known for not only his verbal gaffes but his motormouth attacks on political opponents. Look for Romney to reach into the Tombstone State and bring Kyl on board as his VP pick. It�s a longshot prediction � the Intrade odds of July 19 have Kyl with a .3 percent chance of joining the 2012 Republican ticket. Intrade pegs Portman as the leader in the veep sweeps with a 28 percent chance, but the smart money isn't always on the winning bet. It wasn�t anywhere close to being on Sarah Palin in 2008, and look where she ended up. Bringing Kyl aboard would help Romney with voters who support Arizona�s approach to border security, most of which was recently declared unconstitutional by the U.S. Supreme Court. A CNN poll conducted in June, before the high court�s ruling, showed that 75 percent of Americans supported the Arizona law. Picking Kyl would likely raise Romney�s support level among those voters since Kyl has been a vocal supporter of Gov. Jan Brewer�s signature legislation. Appearing on the July 15 �Meet the Press,� Kyl demonstrated that he can talk the party line with the best of them, using �job creators� several times as a synonym for those making more than $250,000 a year. Kyl�s ability to twist words and appear completely confident is another plus that the Romney campaign can�t help but notice. Finally, Kyl could also help Romney win the battleground state of Iowa. 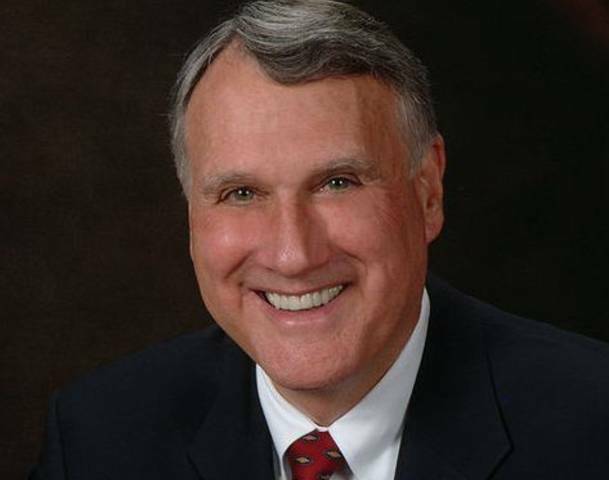 His father, John Henry Kyl, was a Republican representative in the Hawkeye�s State 4th Congressional District at various times between 1959 and 1970, so senior citizens who may be undecided will be inclined to vote for �John Henry�s boy,� now 70, when it comes time to cast their ballots. As for the much-ballyhooed vetting process, it already may have happened. Kyl gave us a key clue when he said he was retiring from politics � unless he was selected to be the GOP VP nominee in 2012. He cleverly added that he expected the chance of that happening to be �zero,� but in Kyl-speak, that means he knew with 100 percent certainty that he was going to be offered the veep spot. Team Romney may have vetted him at any point over the past 18 months. By picking Kyl, Romney also would show an ability for misdirecting the media, a valued asset among some members of likely Republican voters. It would prove beyond a shadow of a doubt that Romney has studied his �Hogan�s Heroes� episodes (an area where Obama may fall short) and knows how to plan and execute a diversion to serve a larger purpose. So when all the talking heads in Punditville are surprised and stunned at the Romney-Kyl ticket, just remember that not everyone was fooled. Some of us saw the writing on the wall as early as 2011. And as scribes of both yesteryear and today are fond of saying, you read it here first.